Every two days, we create as much data as we did from the dawn of civilization up until 2003. Every two days! And we’re talking about Exabytes of data being produced. However, all the data in the world can’t help solve problems or make government more efficient if it isn’t applied correctly. That’s where data analytics come in. Proper application of analytics to data is what makes that data useful. For far too long, many of the government’s data assets have been locked away in siloed systems, in less-than-ideal formats and with little incentive to share across bureaus or with the public. Agencies were missing the analytics piece. Thankfully, though, that’s changing. 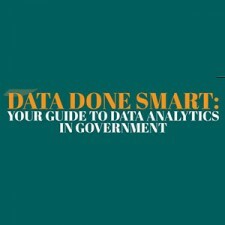 On July 29th, join GovLoop for a half-day, interactive training on how data analytics are transforming government. We will look at how organizations should properly prepare and simplify their data, how to choose the right data sets, maintain security and privacy, and use the tools available.